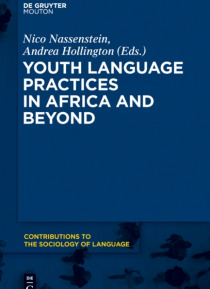 CONTRIBUTIONS TO THE SOCIOLOGY OF LANGUAGE brings to students, researchers and practitioners in all of the social and language-related sciences carefully selected book-length publications dealing with sociolinguistic theory, methods, findings and applications. It approaches the study of language in society in its broadest sense, as a truly international and interdisciplinary field in which va… rious approaches, theoretical and empirical, supplement and complement each other. The series invites the attention of linguists, language teachers of all interests, sociologists, political scientists, anthropologists, historians etc. to the development of the sociology of language.